Home › Events › Spring Fashion Show and BOOM WORKSHOP! Spring Fashion Show and BOOM WORKSHOP! Lunch will be served at 11:30. BBQ Sandwiches and Chips! 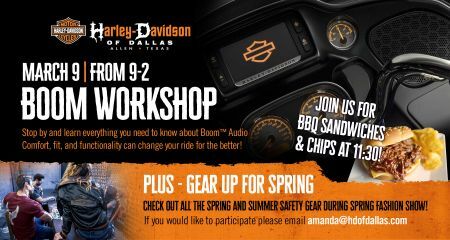 Boom Audio Workshop Starts at 9:00 Am in the parts department.